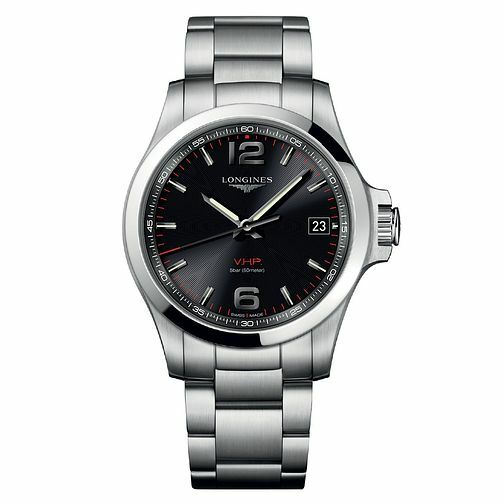 Longines shows its mastery over sophisticated design with this classy piece from the Conquest collection. With a precise dial showing large numerals and precise one minute and five minute increments. The indices are marked with a sporty red and black colour scheme and a large date window sits at the 3 o'clock mark for added efficiency. Made with decades of Swiss watchmaking expertise.